Approached by HBO to create a piece for a Game of Thrones Gallery exhibition in East London due to the air of magical realism and colours in Emmie’s work. 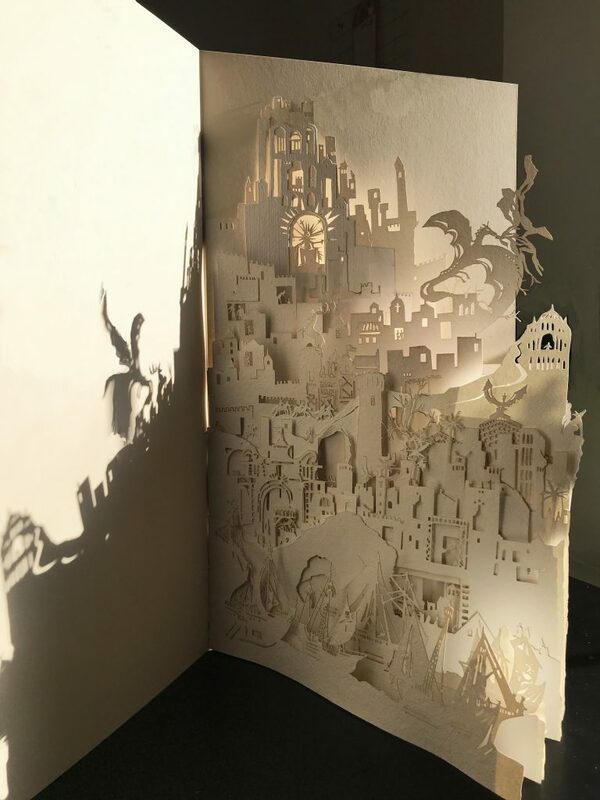 The piece is in the form of a large sculptural book with a wooden front cover 60 high x35cm wide and combines a number of intricately layered pages representing different scenes from the Game of Thrones which are both separate and intertwined. The piece aims to represent the air of intrigue and mystery of the story. 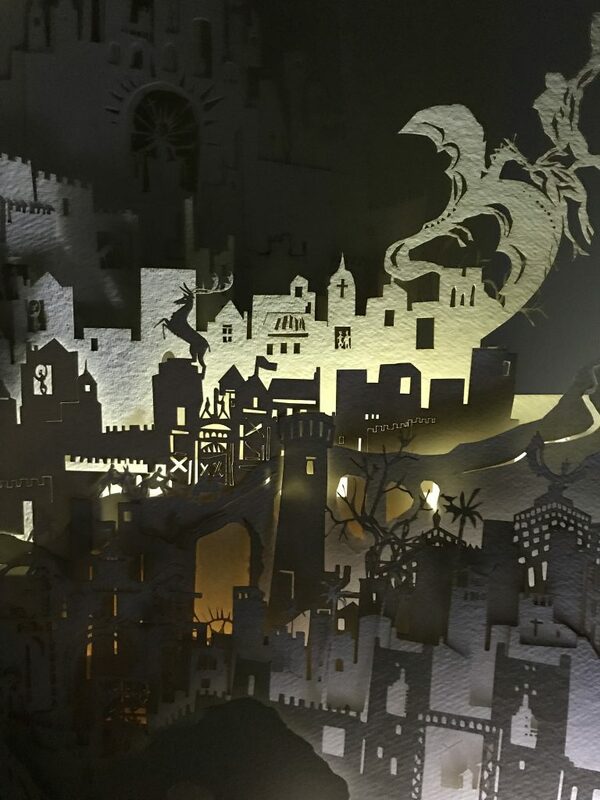 The pages, when illuminated spotlight details of different key scenes carved into the book which then blend into the background when the light changes and other scenes become apparent like a miniature theatre. A Limited edition version of the book is now available for sale please contact to arrange. The piece below is shows it as it will be but each piece by its nature will be slightly unique and it can be delivered at the beginning of June to the Uk or it will take slightly longer abroad.